"A Woman of Bangkok" is Back! The great news is that, "A Woman of Bangkok", Jack Reynolds' classic novel published in 1956 in New York and London is at last back in print. 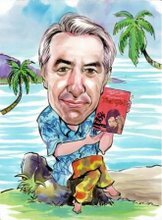 If you scan down this blog you'll find many articles about my quest to learn more about it's author. I've now gone far down that road and so am thrilled for him that Monsoon Books in Singapore have issued both a paper version and an ebook. 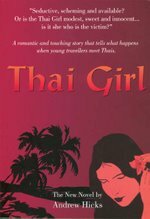 The blurb that you'll find at www.monsoonbooks.com.sg reads as follows. (If you go to the sample chapter, you'll also find a short bio of Jack. )********** "Set against a beautifully observed Thailand of the 1950s, this is the story of a young Englishman’s infatuation with a dance-hall hostess named Vilai, who all Bangkok knows as The White Leopard. No ordinary prostitute, Vilai is one of the most memorable in literature’s long line of brazen working girls. An unmitigated liar and brutally transparent about her desire for money, she unscrupulously milks young Reggie Joyce, the son of an Anglican vicar, with complete frankness. Reggie knows her for what she is yet there seems no folly he will not commit for her, no road to ruin he dares not take. Vilai becomes an obsession for him—an obsession that brings Reggie moments of ecstasy, months of anguish and the threat of utter disaster. Acknowledged today as one of the most memorable novels about Thailand, “A Woman of Bangkok” was first published to critical acclaim in London and New York in the 1950s and is a classic of Bangkok fiction. While the Fifties was a very different world, what is remarkable about this book is that the more the bar scene in Bangkok changes, the more it stays the same. Just as Moll Flanders and Fanny Hill stand eternal, Vilai takes a very special, dare one say seminal, place as the first and best of the many anti-heroines of the now burgeoning Bangkok novel. "******** It is a fine piece of writing and well worth reading. Tell us what you think! ********** Please forgive this bizarre editing. Blogspot is refusing to accept my paragraphing.